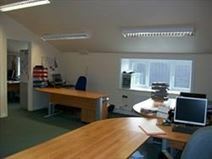 Office Space - Baildon, West Yorkshire. With excellent bus and train connections, and just 10-minutes from the airport, this modern building offers high-quality office accommodation on all-inclusive terms. Two office suites are for immediate occupation.